This inflatable pub is a portable pub which you can erect anywhere. we can make it to be both air tight and with blower working beside. Here the details for the portable inflatable pub. Size: 8mLx5.7mWx5mH, 6.8*4.5*4m other customized size is available. Want to have a pub that belongs to yourself? Please contact us for more information. 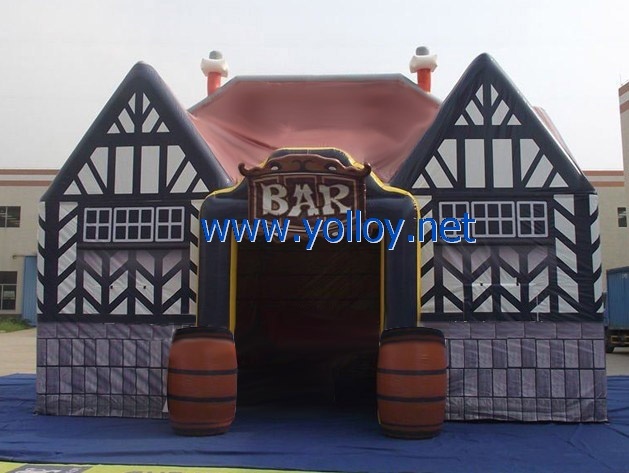 air tight Portable inflatable pub bar tent for sale, air tight bar tent, portable bar house, inflatable pub tent,air tight pub tent, air tight potable bar, portable bar for carnival, carnival party bar house, portable carnival bar tent, mobile party pub tent.